There will be some handsome on handsome crime going down April 18 inside Prudential Center in Newark, New Jersey. 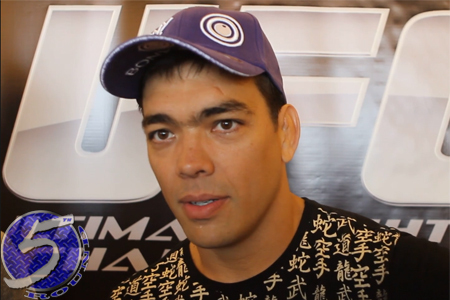 On Thursday, middleweight Luke Rockhold announced via Instagram he and fellow contender Lyoto Machida (pictured) will headline UFC on FOX 15. Machida has won three of his past four fights. The Brazilian is fresh off December’s easy TKO victory over C.B. Dollaway. Rockhold, meanwhile, has had his hand raised in 12 of his last 13 outings, including three straight. The former Strikeforce champion most recently submitted rival Michael Bisping in November.